DESCRIPTION Looking for a Handy Man Special?? This one might be for you!! This 1994 mobile on its own titled lot backing onto green space in a quiet area of Sundre. Conveniently located close to the schools and rodeo grounds makes this an idea family home! The home has been neglected and needs some renos but features a nice floor plan with a large master with a 4 piece ensuite and a walk in closet. The Kitchen and dining room has an open concept and features an extra large sky light. Down the hall you will find 2 more bedrooms and a second 4 piece bathroom. With a little sweat equity this would be a fantastic family or retirement home! Call your favorite Realtor to view today! Home for sale at 523-5 ST Nw Sundre, Alberts T0M 1X0. 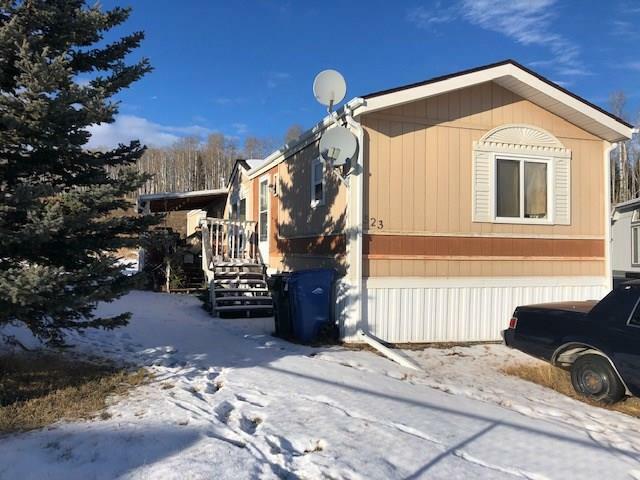 Description: The home at 523-5 ST Nw Sundre, Alberta T0M 1X0 with the MLS® Number C4221518 is currently listed at $134,900.